Itallian inspired resembling mounds of spaghetti falling organically over the finger in layers. A statement ring that can be worn for all occasions. 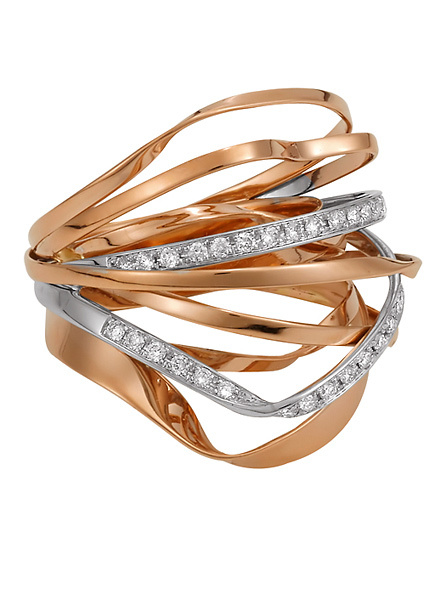 The contrasting swells and dips of the Rose Gold and White Gold Diamond bands set in Pave adds interest and depth to the unusual ring.